The Tax Court has released its long-awaited decision in Frank Aragona Trust v. Commissioner, T.C., No. 15392-11, 142 T.C. No. 9, 3/27/14. The court held that the trust in issue, which owned rental real-estate properties and engaged in other real-estate activities, could qualify for the exception to the passive-activity loss rules for real estate professionals. Section 469(c)(2) specifically states that passive activity includes any rental activity; however, Section 469(c)(7) provides special rules for taxpayers who are in the real-property business, which if met allow them to treat rental real-estate activities as non-passive activities. This exception is applicable if more than one-half of the personal services performed in trades or businesses by the taxpayer are performed in real-property trades or businesses in which the taxpayer materially participates and if the taxpayer performs more than 750 hours of services during the year in real-property trades or businesses in which the taxpayer materially participates. The court noted that a trust is capable of performing personal services necessary to qualify for the exception and that services performed by individual trustees on behalf of the trust may be considered personal services performed by the trust. This represents a major victory for taxpayers because the position of the IRS is that a trust could never qualify for the exception. Had the IRS prevailed in this argument, rental real-estate activities of trusts would automatically have been treated as passive activities and would be subject to the limitations of the passive-activity loss rules. The decision is also important because application of the new 3.8% net investment income tax (NIIT) to a trust often turns on whether the income of the trust is from a passive activity. Accordingly, although NIIT was not at issue in the case, the Tax Court's decision has important implications for trusts that are potentially subject to the NIIT. The Tax Court found that the activities of the trustees alone were sufficient to establish that the trust materially participated in its real-property trades or businesses. The Tax Court did not address the issue of whether the activities of non-trustee employees of the trust can be considered in determining material participation. Whether the only activities that can be counted for purposes of material participation are those of trustees, therefore remains unresolved. Technical Advice Memorandum 200733023 (the "TAM") distinguished between "fiduciary trustees" and "special trustees" who were appointed solely to perform certain contractual acts intended to satisfy the material participation test for the exemption. The IRS ignored the actions of the "special" trustees for purposes of measuring material participation. Although some of the trustees in Frank Aragona Trust had limited duties, acting similar to a board of directors, the Tax Court concluded that all of the trustees were fiduciaries under Michigan law (to which the trust was subject). Thus, the issue of the extent to which "special trustees" are considered fiduciaries under relevant state law may remain an important consideration. In concluding that trusts are capable of performing personal services and could therefore qualify for the exemption for real-estate professionals, the Tax Court stated that "if the trustees are individuals, and they work on a trade or business as part of their trustee duties," then "their work can be considered." Although there is no indication that the Tax Court intended that corporate trustees should be treated differently from trustees who are natural persons, the meaning of this statement is unclear. And although there is no logical reason to distinguish between the activities of a corporate trustee and an individual trustee, tax planners should keep this language in mind in selecting a trustee. The Tax Court decision leaves open some issues regarding which activities should be counted for purposes of material participation if a trustee is also an employee of an entity owned by a trust or if the trustee also owns an interest in that entity personally. The Tax Court held that the activities of the trustees performed in their capacity as employees of an entity owned by the trust should be counted. It based this conclusion, however, on the fact that Michigan law provided that trustees were not relieved of their duties of loyalty to beneficiaries by conducting activities through a corporation wholly owned by the trust. Although it is likely that most state laws also impose fiduciary duties on trustees who also perform activities as an employee, the extent to which relevant state law must be consulted is not entirely clear under the Tax Court's decision. The IRS had also argued that because two of the trustees had ownership interests in entities owned by the trust, at least a portion of their activities should be disregarded because some of their efforts in managing the jointly held entities were attributable to their personal portions of the business. The Tax Court rejected this argument, but on a narrow basis. First, the trustees owned only a minority interest in each of the entities in their individual capacities – for no entity did their combined ownership interests exceed 50%. Second, their combined ownership interest in each entity was never greater than the trust's ownership interest. Third, their interests as owners were generally compatible with the trust's goals–they and the trust wanted the jointly held enterprise to succeed. Fourth, the trustees who owned the interests were involved in managing the day-to-day operations of the trust's various real-estate businesses. It is, therefore, unclear whether the Tax Court might have excluded some of the activities of the trustees who also owned interests in the entities owned by the trusts if some or all of these factors were not satisfied. In a footnote, the Tax Court noted that the IRS had not asserted that trusts that materially participate in a real-estate trade or business should be treated as corporations. Under the check-the-box regulations, business trusts are generally classified as corporations rather than trusts for tax purposes. Althoughthe IRS does not appear to generally take the position that a trust engaged in a real estate business through ownership of an entity should be treated as a corporation, this argument was not at issue in this case. Despite these unanswered questions, this is an important case and a major taxpayer victory. Whether the IRS will appeal the decision remains to be seen. Finally, when planning to take advantage of the exemption from the passive-activity loss rules for real-estate professionals, it is important to keep in mind that the determination of whether a taxpayer materially participates in an activity is made on an activity-by-activity basis unless the taxpayer makes an affirmative election to aggregate its real-estate activities. Accordingly, taxpayers should carefully consider whether they need to make an affirmative election to take advantage of the exception. The Frank Aragona trust owned rental real estate and was involved in other real estate holdings and development with its principal place of business in Michigan. When Frank Aragona died, he was succeeded as trustee by six trustees, which included his five children who were also trust beneficiaries. Paul Aragona, one of Frank Aragona's sons, served as the executive trustee and was responsible for the day-to-day operations of the trust. In addition, three of the trustees worked full time for Holiday Enterprises LLC, an entity wholly owned by the trust. The trust conducted some of its real-estate activities directly and conducted the rest through various entities in which it owned majority interests. (Two of the Aragona children owned minority interests in those entities.) In particular, the trust conducted real estate activities through Holiday Enterprises LLC. The trust had generated losses, which it treated as non-passive, and thus it used the losses to offset non-passive income. 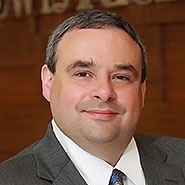 The two primary issues before the Tax Court were (1) whether a trust can qualify for the Section 469(c)(7) exception; and (2) whether the Frank Aragona trust qualified for the exception. As discussed in more detail below, the Court concluded that a trust can qualify for the Section 469(c)(7) exception and that the Frank Aragona trust met the requisite requirements and thus qualified. In rendering its opinion, the Tax Court considered the statutory language of Section 469, regulations issued thereunder, and the legislative history. Section 469(a)(1) provides that a taxpayer's passive-activity loss is disallowed for the year if the taxpayer is "described in" Section 469 (a)(2). The taxpayers described in Section 469(a)(2) include individuals, estates, trusts, closely held C corporations, and personal service corporations. Section 469(c)(1) says that a passive activity is any activity that involves conduct of any trade or business in which the taxpayer does not materially participate. Section 469(c)(2) further provides that any rental activity is considered passive, regardless of whether the taxpayer materially participates in the activity (i.e., all rental activity is per se passive). In 1993, Congress enacted Section 469(c)(7), which provides an exception for taxpayers from Section 469(c)(2) if they meet the requirements of Section 469(c)(7)(B). Section 469(c)(7)(B) contains two tests: (1) more than one half of the "personal services" performed in trades or businesses by the taxpayer during the tax year must be performed in the real property trades or businesses in which the taxpayer materially participates; and (2) the taxpayer must perform more than 750 hours of services during the year in real property trades or businesses in which the taxpayer materially participates. Both of these tests must be met. The requirements of Section 469(c)(7)(B) can be met only by a taxpayer who materially participates in a real-property trade or business. Section 469(c)(7)(C) defines the term "real-property trade or business" as any real-property development, redevelopment, construction, reconstruction, acquisition, conversion, rental, operation, management, leasing, or brokerage trade or business. Under regulations, only a "qualifying taxpayer" falls within the Section 469(c)(7) exception. A "qualifying taxpayer" is "a taxpayer that owns at least one interest in rental real estate and meets the requirements of paragraph (c) of this section." The Court noted two other regulatory requirements. First, Reg. Section 1.469-9(b)(4) provides that "personal services means any work performed by an individual in connection with a trade or business." Second, Reg. Section 1.469-9(c)(2) provides that "a closely held C corporation meets the requirements of paragraph (c)(1) of this section by satisfying the requirements of Section 469(c)(7)(D)(i)." Section 469(h) Defining "Material Participation"
Section 469(h) provides that for the purposes of Section 469, a taxpayer is treated as materially participating in an activity only if the taxpayer is involved in the operation of the activity on a basis that is regular, continuous, and substantial. The Court said that Section 469(h) has two purposes: (1) to determine whether an activity is a passive activity; and (2) to determine whether a taxpayer materially participates in real-property trades or businesses. A taxpayer is treated as materially participating in real-property trades or businesses if the taxpayer is involved in the operation of real-property trades or businesses on a regular, continuous and substantial basis. Section 469(h)(4) provides special rules for whether certain closely held C corporations and personal service corporations have met the material participation tests. First, the IRS argued that the Section 469(c)(7) exception applies only if personal services are performed by the taxpayer and such taxpayer is an individual. The regulations define personal services as "work performed by an individual in connection with a trade or business." Thus the IRS contended that personal services can be provided only by an individual, and that therefore a trust cannot qualify for the exception. Second, the IRS argued that the legislative history of Section 469(c)(7) supports that the exception does not apply to trusts. A report of the House Ways and Means Committee said that Section 469(c)(7) "applies to individuals and closely held C corporations." The report continued, stating that an individual taxpayer meets the exception "if more than half of the personal services the taxpayer performs in a trade or business are in real-property trades or businesses in which he materially participates." Because only individuals and closely held C corporations were mentioned by the Committee, the IRS contended that Congress did not intend for the exception to apply to trusts. The Tax Court rejected the IRS's argument that a trust is incapable of performing "personal services," because the regulation defines "personal services" to mean "any work performed by an individual in connection with a trade or business." The Tax Court noted that a trust is an arrangement where trustees manage assets for the trust's beneficiaries. The Tax Court concluded that a trust is capable of performing personal services and could therefore satisfy the Section 469(c)(7) exception. The Tax Court stated, too, that if Congress wanted to exclude trusts from the Section 469(c)(7) exception, it could have done so by limiting the exception to "any natural person," as it had done in other provisions of the passive-activity loss rules under Section 469. The Tax Court also rejected the IRS's argument that the trust did not qualify for the Section 469(c)(7) exception, saying the question to be resolved was whether the trust materially participated in the real-estate operations. The Tax Court said that by definition, a taxpayer who is involved in the operations of an activity on a regular, continuous, and substantial basis is treated as materially participating in the activity. In addressing the special rules provided by Section 469(h)(4) for determining whether certain types of corporations have met the material participation tests, the Tax Court stated that although certain trusts may be considered corporations (e.g., business or commercial trusts under Reg. Section 301.7701-4(b)), the IRS did not take the position that the Frank Aragona trust should be treated as a corporation. The Tax Court then concluded it was required to determine whether a trust materially participates in an activity, observing that the statute did not provide for such determination and also stating that there is an absence of regulatory guidance. The IRS argued that in determining whether a trust is materially participating in an activity, only the activities of the trustees can be considered and the activities of the trust's employees must be disregarded. The IRS contended that the trustees who were employed by Holiday Enterprises LLC should be ignored with regard to the trust. The Tax Court said that even if the activities of the trust's non-trustee employees should be disregarded, the activities of the trustees, including their activities as employees of Holiday Enterprises, LLC, should be considered in determining whether the trust materially participated in its real-estate operations. The Tax Court further stated that Michigan state law required the trustees to have a duty to act as a prudent person in their dealings, to protect the interests of the trust beneficiaries. The Tax Court stated further, "[t]rustees are not relieved of their duties of loyalty to the beneficiaries by conducting activities through a corporation wholly owned by the trust." Therefore, the Tax Court concluded that the trustees' activities as employees of Holiday Enterprises, LLC should be considered in determining whether the trust materially participated in its real-estate operations. The Tax Court said, "[c]onsidering the activities of all six of the trustees in their roles as trustees and as employees of Holiday Enterprises, LLC, the trust materially participated in its real-estate operations." Furthermore, it didn't matter that two of the trustees separately held direct interests in Holiday Enterprises, LLC. The Tax Court also stated "We need not and do not decide whether the activities of the trust's non trustee employees should be disregarded." Thus, the issue continues to be subject to Mattie K. Carter Trust v. United States, 256 F. Supp. 2d 536, 541 (N.D. Tex. 2003). After concluding that the trust could materially participate, the Tax Court said that the next steps in ascertaining whether the taxpayer meets the Section 469(c)(7) exception is to (1) determine whether more than one half of the personal services performed in trades or businesses by the taxpayer during the year are performed in real-property trades or businesses, and (2) to determine whether the taxpayer performed more than 750 hours of services during the year in the real-property trades or businesses. The IRS had limited its arguments to whether trusts are barred from qualifying under Section 469(c)(7) and that the trust did not materially participate in the real property trades or businesses. In the context of the issues argued and evidence presented by the IRS, the Tax Court held the trust met the Section 469(c)(7) exception. The key take-away is that based on the Tax Court's holding, trusts can meet the Section 469(c)(7) exception and thus can materially participate in rental real-estate activities. Further, in determining whether a trust materially participates in an activity, the trustees' combined actions are considered and it does not matter if the trustees are also employees of an entity owned by the trust. The Tax Court held that the activities of the trustees performed in their capacity as employees of an entity owned by the trust should be counted. It based this conclusion, however, on the fact that Michigan law provided that trustees were not relieved of their duties of loyalty to beneficiaries by conducting activities through a corporation wholly owned by the trust. Although it is likely that most state laws also impose fiduciary duties on trustees who also perform activities as an employee, the extent to which relevant state law must be consulted is not entirely clear under the Tax Court's decision. A key question not addressed is whether the activities of non-trustee employees of the trust can be considered in determining material participation. In Mattie K. Carter Trust v. United States (above), the U.S. District Court in Texas held that a trust's participation in a ranching business owned and operated by the trust should be measured by the activities of the trust's employees, and its trustee. The Court said that the IRS's "contention" that only activities of the trustee should be taken into account "finds no support within the plain meaning of the statute" and "is arbitrary, subverts common sense, and attempts to create ambiguity where there is none." Subsequent to the Carter case, the IRS issued the TAM, dealing with whether a "special" trustee could meet the material participation standard. As opposed to the "fiduciary" trustees, the "special" trustees were appointed solely to perform certain contractual acts intended to satisfy the material participation standard of I.R.C. Section 469(h). The TAM ignored the actions of the "special" trustees and concluded that material participation with regard to an activity for a non-grantor trust is based upon whether the fiduciary trustee meets the material participation test. Finding that the special trustees in the matter addressed did not meet the material participation threshold, the IRS determined that income to the trust was "passive." Commentators have criticized the TAM for the following reasons: (1) there was no support for the IRS's determination that the actions of the special trustees on behalf of the trust should be disregarded; (2) the IRS made the same arguments in the TAM that it made in Carter to support its position that the fiduciary trustee alone must meet the material participation threshold; (3) the IRS cited the Senate Report in support of its view of the fiduciary trustee's participation but ignored the inconsistent legislative guidance in the TRA 1986 Blue Book and (4) the IRS's analysis in the TAM of the fiduciary's time involvement was flawed. Although some of the trustees in Frank Aragona Trust had limited duties, acting similar to a board of directors, the Tax Court concluded that all of the trustees were fiduciaries under Michigan law. Thus, the issue of the extent to which "special trustees" are considered fiduciaries under relevant state law may remain an important consideration. Thus, the use of special trustees who may not have fiduciary duties under relevant state law to satisfy the material participation requirement may remain subject to challenge. Another question left unanswered by the Tax Court's decision is the treatment of corporate trustees. In concluding that trusts are capable of performing personal services and could therefore qualify for the exemption for real-estate professionals, the Tax Court stated that "if the trustees are individuals, and they work on a trade or business as part of their trustee duties," then "their work can be considered." Although there is no indication that the Tax Court intended that corporate trustees should be treated differently from trustees who are natural persons, the meaning of this statement is unclear. And although there is no logical reason to distinguish between the activities of a corporate trustee and an individual trustee, tax planners should keep this language in mind in selecting a trustee. Finally, it is unclear how the Tax Court would have treated trustees who owned a greater than 50% interest in an entity owned by a trust or who hold, in the aggregate, an interest larger than that of the trust in such entities. In deciding to include all of the activities of the trustees who also owned interests in the entities owned by the trust for purposes of measuring material participation, the court noted four factors in support of its conclusion. First, the trustees owned only a minority interest in each of the entities in their individual capacities – for no entity did their combined ownership interests exceed 50%. Second, their combined ownership interest in each entity was never greater than the trust's ownership interest. Third, their interests as owners were generally compatible with the trust's goals – they and the trust wanted the jointly held enterprise to succeed. Fourth, the trustees who owned the interests were involved in managing the day-to-day operations of the trust's various real estate businesses. Whether the Tax Court would have come to a different conclusion in the absence of all or any of these factors is therefore unclear. When planning to take advantage of the exemption from the passive-activity loss rules for real-estate professionals, keep in mind that the determination of whether a taxpayer materially participates in an activity is made on an activity-by-activity basis unless the taxpayer makes an affirmative election to aggregate its real-estate activities. Accordingly, taxpayers should consult their tax advisors regarding their ability to aggregate activities and whether it is prudent to do so.